UPDATE: The Senators have reassigned Burgdoerfer back to Belleville and he’s available for Saturday’s game against Lehigh Valley. 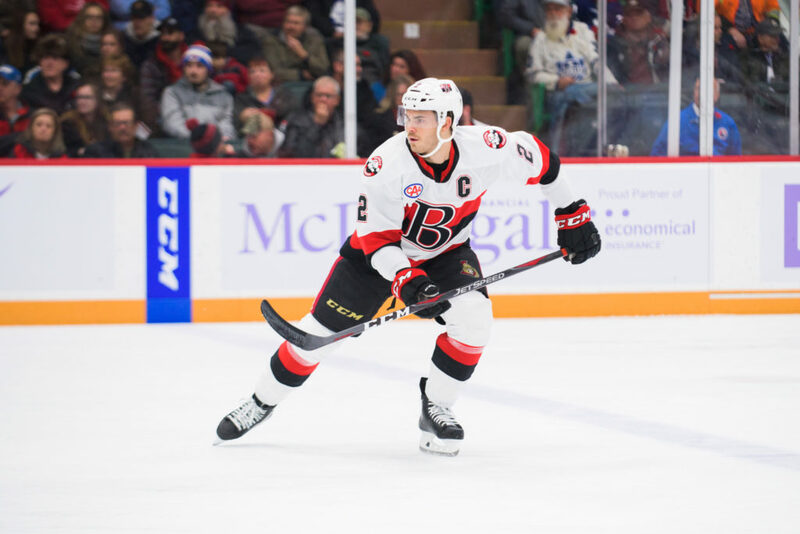 The Ottawa Senators have recalled Belleville Senators captain Erik Burgdoerfer. Burgdoerfer has played in 15 games with Belleville this season scoring twice and adding two assists. The 29-year-old has also played once for Ottawa while appearing in five career NHL games recording one assist. Belleville is back in action tonight when they host the Utica Comets. Tickets are available by clicking here.